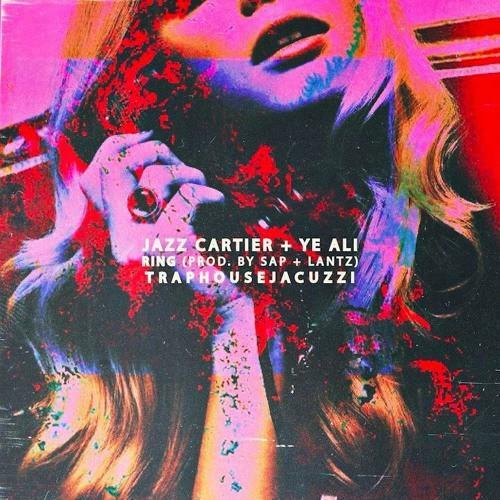 Ye Ali is back again with another collaboration under his belt. The singer is moving above and beyond SoundCloud, after already developing a substantial following on the platform. We heard him collaborate with OVO Sound Radio-approved rapper Nessly for "Gucci Umbrella," following which he laid down a record with Kirko Bangz for "Go First," and today he's back with a smooth new record featuring Jaccuzi LaFleur. Whereas a lot of Jazz's Hotel Paranoia album was amped up, sometimes even chaotic records, "Ring" is a change of pace, with subdued production handled by Sap (who by the way dropped an album of his own today) and Jazz's in-house producer Lantz. Both artists lather up the auto-tune and sing along to the wavy keys that make up the base of the record.